China’s monthly economic data dump for February has just started and will continue to come through for most of next week. The data is distorted by the Lunar New Year holiday in February, so it should be read in conjunction with the January figures. The Bloomberg consensus estimates point to weak growth for most activity indicators, suggesting a further slowdown in China’s GDP growth this quarter. But it all depends on reaching a trade deal with the US. The news on that front has been increasingly positive, and if things stay that way, should counter negative market impact from the hard data. 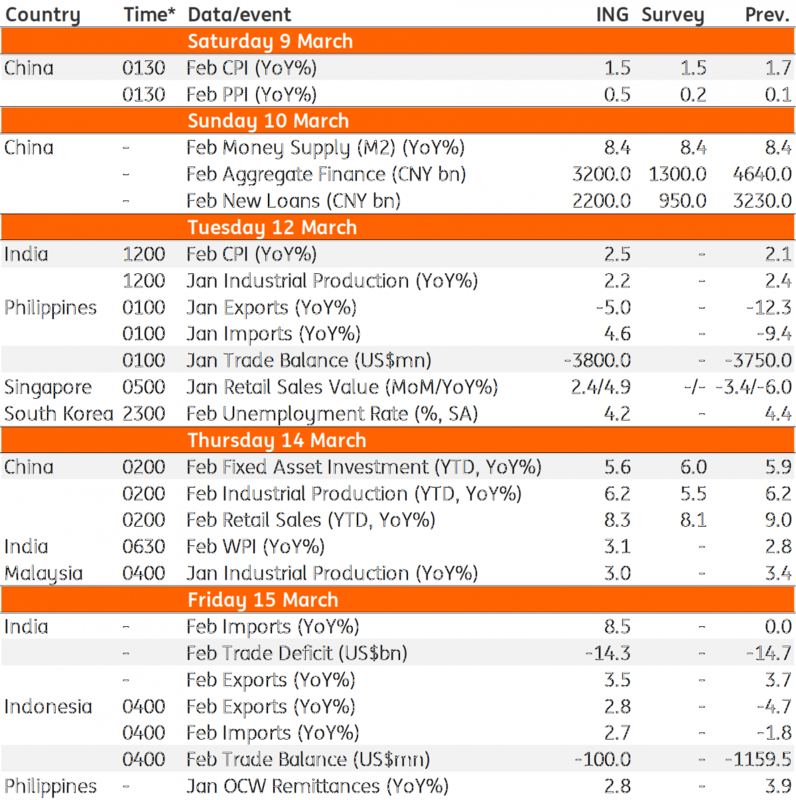 We also get most of India’s February economic data next week. All the excitement here lies in the inflation rate after it hit the low-end of the central bank’s 2-6% target in January. We don’t see any further downside from here as the food component - the main source of disinflation last year is about to snap its declining streak. Among other drivers, the effect of rising global oil prices to domestic fuel prices and a significant fiscal thrust to domestic demand will sustain the upward pressure on prices. That said, we don’t expect inflation to become a policy problem again this year. But this doesn't mean the central bank will have more room to cut policy rates further. Among other Indian data, trade and industrial production are likely to underpin further moderation of GDP growth in the current quarter. Like Indonesia and the Philippines, high trade deficit remains a key negative for the rupee. With rising political uncertainty, currency appreciation isn't going to be a lasting relief for investors in the Indian markets. 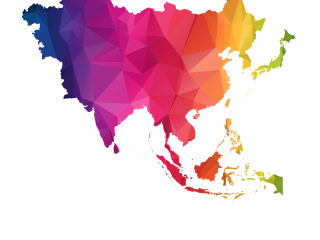 Trade releases in Indonesia and Philippines matter for their currencies. We anticipate firmer growth in Indonesian exports in February pushing trade deficit to its lowest in the last five months. The Indonesian rupiah has been recovering this year from the heavy losses of 2018, thanks to the government’s measures to curb imports and deficit. The Philippine peso has also been in consolidation mode this year, but there hasn’t been any relief for the currency from external payments. The trade deficit continues to be high, running around $4 billion per month, and remittances from overseas Filipinos, which historically covered for the deficit, have been insufficient, running around $2.5bn. Next week's trade and remittances releases for January are unlikely to show any departure from these trends.